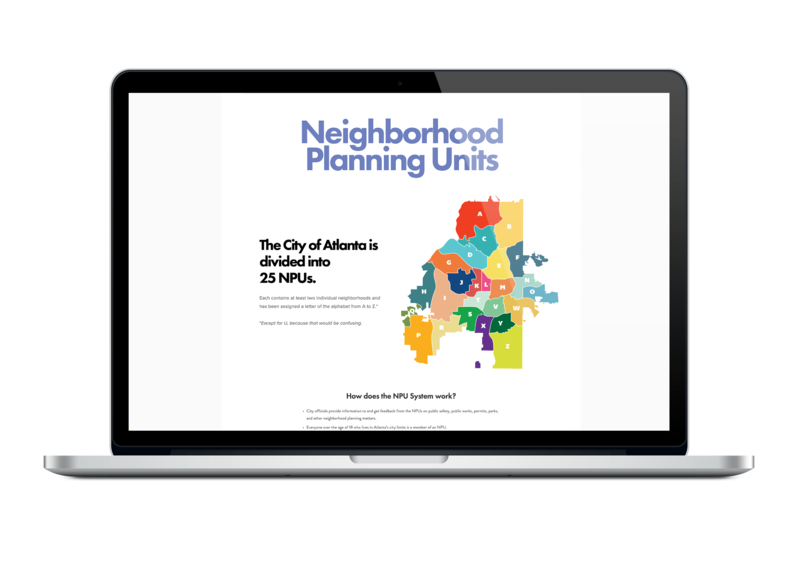 “We have spent the past year conducting historical research and meeting with key stakeholders, including elected NPU leadership, city council members, mayoral representatives, and community-based organizations. 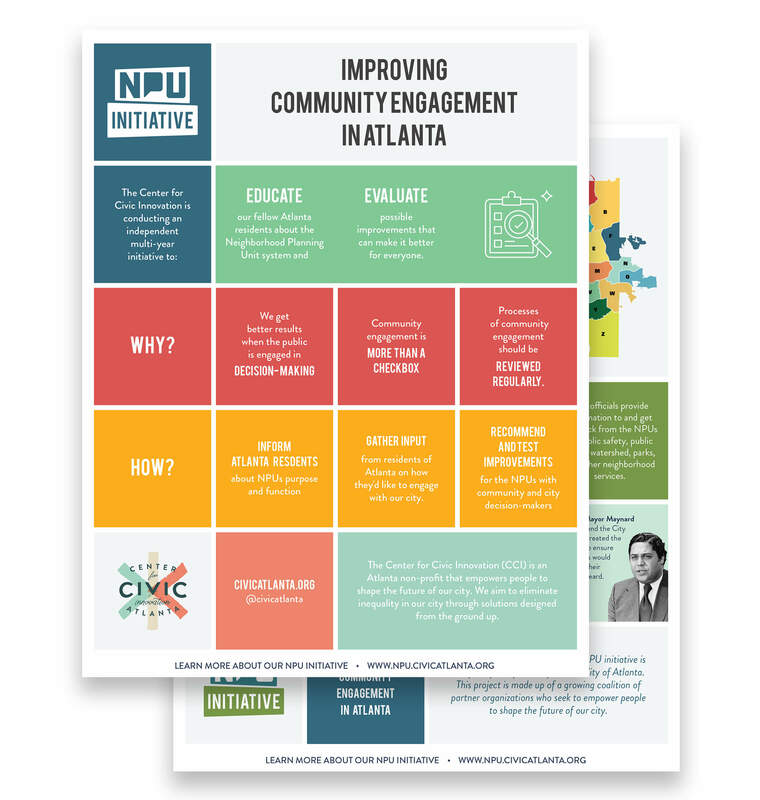 Over the next two years, the NPU Initiative will educate our fellow Atlanta residents about the history of community engagement in our city, analyze what is how engagement is happening today, and evaluate improvements to make it better in the future. A snippet from the opening presentation at the launch party. 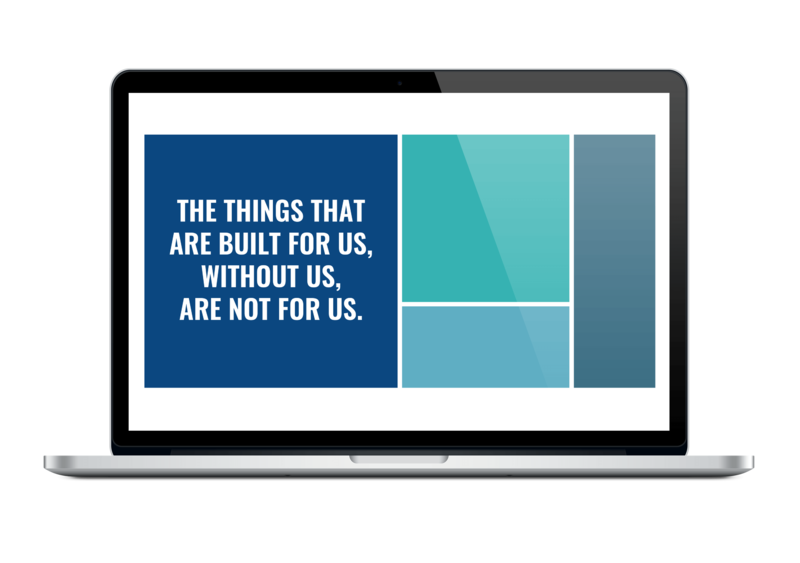 The homepage for the initiative – features more information about the NPU system and how to get involved. Check it out here. 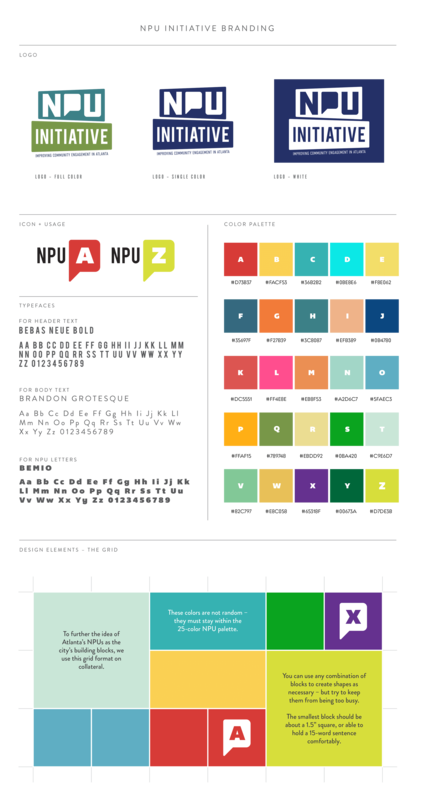 We put together a one-pager for the launch party that would help explain the project and its goals.